Pump stations play an important role in transporting large volumes of water from one point to another, so it is crucial that they are working as efficiently and safely as possible at all times. At Express Drainage Solutions, we offer an interceptor cleaning and pump station cleaning service to suit you. We have vast experience in pump station maintenance and interceptor maintenance, with all of our operatives trained and certified under the City & Guilds Medium Risk Qualification in confined spaces. This qualification means we can work within the tight spaces of interceptors and pumping stations with ease, using breathing apparatus, winches and harness systems to ensure safe, effective work for our staff and yours. As we are CHAS Health and Safety accredited, you can rest assured that the drainage work you will be receiving is in total compliance with the Health and Safety Executive’s Mandatory Regulations. 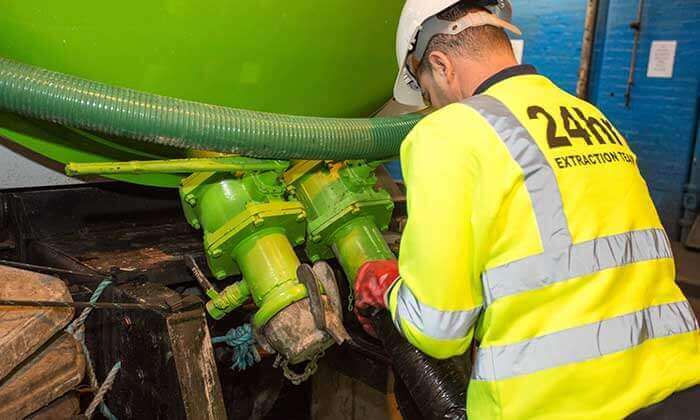 If you are in need of cleaning or maintenance for your interceptors, pump stations, grease traps and oil catchers, then get in touch with Express Drainage Solutions today and we’ll be more than happy to help.